Aqua Science offers a wide range of products for well water systems and city/town/municipal water customers. 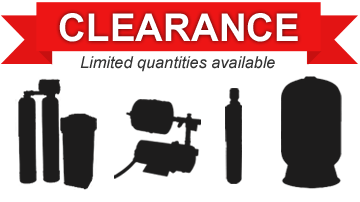 From water pumps, pressure & storage tanks to water filtration equipment, our warehouse stocks the items you need. Whether you are a homeowner, plumber, contractor or professional installer, Aqua Science can help! No matter the size of your project, we have the parts, components and fittings you will need to get the job done at the lowest prices.